Cindy said the temp in her Nitro said it was 77 when she left Sturgis about 2. Sure is nice out. Got the carving all done on the saddle, oiled it and waiting for it to soak in so I can put it all together…cows hadn’t even cleaned up all the hay I fed them yesterday. I counted on that so took a pretty good bale when I went. they sure are enjoying that old grass with a hint of green at the roots! I have plans to haul a couple horses up to Dusty tomorrow. See if he can get along with Swiss Miss, she is 7 or 8 and kind of halter broke and that is all. She let me walk up and pet her so i think she will be fine.. he does a good job. Also i will take Brody, the colt I started last spring and have him top him off for me so i can go to riding him… calving will be coming soon and it will be good to have a young horse to ride on cows checking to see if they are calving or have calved. 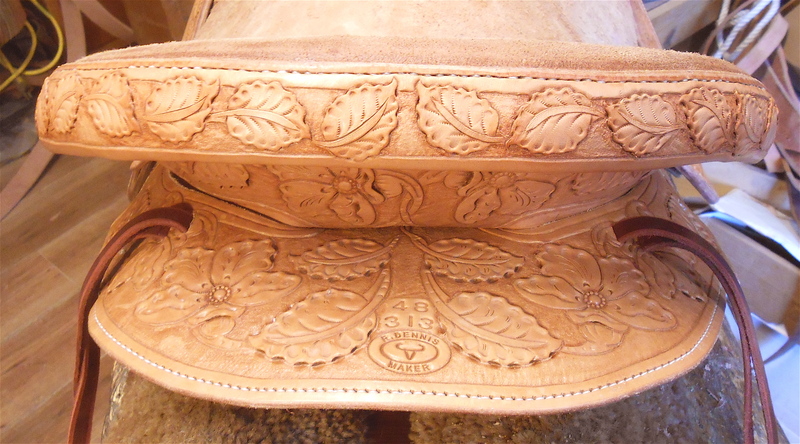 Here is the last photo’s of the saddle with all the carving. don’t think I ever want to do any more carving on one than this! Lot’s of work and in hard to work places! Now, off to drive Wren…. Saddle is gorgeous! Wow, you do nice work! Glad you are enjoying some nice weather. The saddle is just beautiful, I am sure the new owner will be delighted. 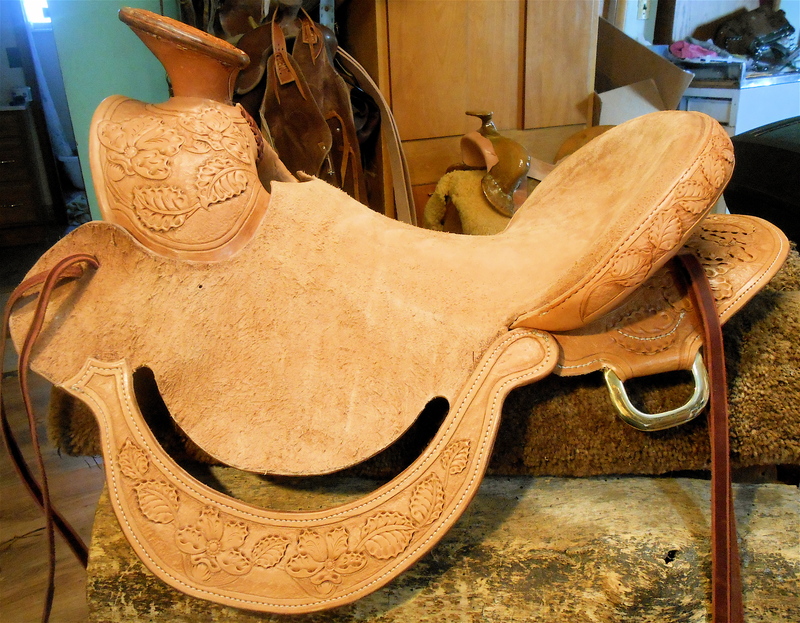 Beautiful saddle, you sir, are one talented guy! I’m wishing some of that warm air would hit north central Iowa…guess I am just jealous! Have a nice day Robert.